DENYS DE LA RONDE, LOUIS (he signed La Ronde Denys), officer in the navy and in the colonial regular troops; b. 2 Aug. 1675 at Quebec, son of Pierre Denys* de La Ronde and Catherine Leneuf de La Poterie; m. 20 July 1709 at Quebec, Marie-Louise, daughter of René-Louis Chartier* de Lotbinière, and first cousin of Louise-Élisabeth Joybert*, wife of the governor-general of New France, Philippe de Rigaud* de Vaudreuil; had three sons and three daughters; buried 25 March 1741 at Quebec. Louis Denys de La Ronde entered the naval service as a midshipman at Rochefort, France, in 1687. 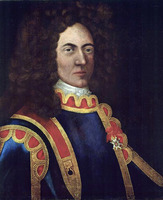 For the next 20 years he served in a wide variety of campaigns: he accompanied the deposed English king James II to Ireland in 1689, and saw action there at Bantry Bay and again off Beachy Head, England; in eight campaigns to New France between 1692 and 1705, serving several times under his older brother, Simon-Pierre Denys* de Bonaventure, he came to know the New England coastline well; in 1697 he accompanied Pierre Le Moyne* d’Iberville on his final and most dramatic campaign to Hudson Bay; and in 1699–1700 and 1701, at the specific request of d’Iberville, he served in the Mississippi expeditions. He was given his first command in November 1701, when d’Iberville entrusted him with the Enflammé for the return voyage to France. The following year, on his way to Quebec, he suffered a serious shoulder wound in an action against an English vessel. Twice, in 1695 and 1704, he was taken prisoner by the English on the high seas. La Ronde began his colonial service in 1705 when he was given command of a small frigate to be used against English shipping in Acadian and New England waters. To counter France’s increasing inability to meet the wartime requirements of the colony, the governor of Acadia, Jacques-François Monbeton* de Brouillan, had decided to have the Biche, 18 to 20 guns, built at Port-Royal (Annapolis Royal, N.S.). Finding the vessel unfinished when he arrived, La Ronde took charge of a brig and began privateering and reconnoitring English strength along the New England seaboard. In 1706 he went so far as to put in at Boston “on the pretext of making inquiries about developments . . . regarding exchanges [of prisoners].” It may have been on this occasion that he made contacts which later would be useful to him. Just as the Biche, with a crew of 60 Canadians under Charles-Joseph Amiot* de Vincelotte, was ready to sail from Port-Royal in the spring of 1707, a force of New England provincials under John March* arrived before the town. The energy of the new governor, Daniel d’Auger* de Subercase, aided substantially by La Ronde and his men, compelled the New Englanders to withdraw; La Ronde carried news of the successful defence to the court. While in France he had the Biche replaced by a larger frigate, the Vénus, and after an arduous crossing he returned to Port-Royal on Easter Sunday 1708. Anticipating a new English attack, Subercase ordered him to take up his command of the infantry company awarded him in 1707 following the resignation of Louis-Simon Le Poupet* de La Boularderie. It was only late in August therefore – and despite the desertion of the greater part of his crew – that La Ronde was able to resume his privateering. Taking on 40 men recently arrived from the West Indies, he set out from Port-Royal on the Vénus and promptly captured two prizes worth more than 115,000 livres. But contrary winds forced him to put in at Plaisance (Placentia, Nfld. ), where the governor, Philippe Pastour* de Costebelle, persuaded him to join an expedition against the English forts at St John’s. Leaving Port-Royal to its fate, La Ronde carried munitions and supplies to St John’s by sea, while troops under Saint-Ovide [Monbeton] proceeded overland. On New Year’s Day 1709, barely hours after the French arrived, the English under Thomas Lloyd* surrendered. When the station was abandoned by the French in the spring and the forts destroyed, La Ronde carried the artillery back to Plaisance aboard the Vénus. He then agreed to transport the English garrison of St John’s to Quebec and, once there, stood by in anticipation of the massive British invasion expected for 1709. It was on this occasion that he married Marie-Louise Chartier de Lotbinière. When it became apparent that Canada would enjoy a respite in 1709, La Ronde returned with his bride to Plaisance in October. 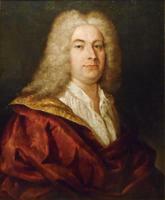 As early as 1708 Subercase had complained bitterly not only of La Ronde’s insubordination in not returning to Port-Royal but of his mistreatment of minor officials who had opposed his attempts that year to undervalue his captured prizes, thereby cheating the government, which was owed taxes on the vessels, as well as the outfitters of his ship. Although he agreed that La Ronde ought to be severely punished, the minister of Marine, Pontchartrain, faced a dilemma: “I really do not know how to deal with him,” he remarked, “since he acquitted himself so well at St John’s.” La Ronde returned to France in 1710 to account for his conduct. Though at first glance he appears to have withstood the wrath of authorities, the balance of his career was adversely affected by his indiscipline. Despite his advancement at the normal rate (section leader of a detachment of midshipmen at 26, sub-lieutenant in the navy at 27, captain in the colonial regulars at 32), and despite a truly impressive record of service, he never rose beyond the rank of captain. He did, however, receive the honour of the cross of Saint-Louis in 1721. There was apparently no opposition to La Ronde’s presence in Boston, in spite of the fact that preparations were being made for a massive invasion of Canada. He may already have had contacts there, and in any case he was a personable man who made a favourable impression despite his uneasiness in his role. Sir Hovenden Walker* must have thought him amenable for he suggested that he aid the British cause by piloting a vessel to the St Lawrence – an offer La Ronde was probably not above accepting for a price. It was not long, however, before a copy of his instructions was discovered. Markedly less welcome now and anxious, as he later claimed, to get his news to the French, La Ronde made a dash by night for the safety of the open sea. In the first of many difficulties which “endangered his life several times,” he was stopped and thrown into the dungeon of Castle William. Although he had had the foresight to swallow the original text of his instructions, the General Court of Massachusetts summarily condemned him to hang. In the meantime, however, news of Walker’s disaster had reached Boston. Out of compassion, or influenced perhaps by La Ronde’s colourful personality, Governor Joseph Dudley intervened and gave the Frenchman the opportunity to make his escape. Otherwise he would have paid dearly for his rash plunge into the vagaries of international diplomacy in wartime. Late in 1711, having been “tossed about on the sea like a latterday Telemachus,” he drifted into Martinique. He returned to Plaisance in July 1712. By the spring of 1713 the peace of Utrecht had ceded Acadia and Newfoundland to England, and in an effort to counter the loss France decided upon a new venture on Île Royale (Cape Breton Island). Serving under Saint-Ovide, La Ronde reconnoitred the island, making recommendations for settlement and preparing charts and reports of his observations. It is perhaps significant that he noted with some emotion the vestiges of the pioneering efforts of his grandfather, Simon Denys* de La Trinité, who more than 60 years previously had built a trading post at Sainte-Anne (Englishtown). In the summer of the following year La Ronde joined Jacques d’Espiet* de Pensens on an unsuccessful journey to Nova Scotia to encourage the Acadians to leave the province and immigrate to Île Royale. La Ronde carried the colony’s dispatches to France in January 1715. Upon his return he commanded the detachment at Port-Toulouse (St Peters) intermittently from November 1715 to the spring of 1720. 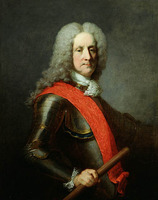 In 1719, at the request of Governor General Philippe de Rigaud de Vaudreuil and seemingly against his own wishes, he was appointed to the garrison in Canada. By procrastinating, however, he missed the last vessel to Quebec in 1719. In 1720 Robert-David Gotteville* de Belile, sent by the Comte de Saint-Pierre to command at Île Saint-Jean (Prince Edward Island), secured from Saint-Ovide, now governor of Île Royale, the services of an unenthusiastic La Ronde to assist in the founding of the colony. In November 1721 La Ronde prepared a detailed mémoire on their progress. Its reliability is highly suspect, however, for it seems that La Ronde was more interested in promoting himself as a colonizer than in reporting accurately. 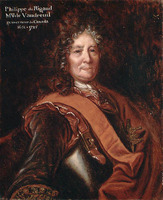 In 1722 he took advantage of some administrative confusion at Versailles to leave Île Saint-Jean and take up the Canadian post Vaudreuil had held for him since 1719. La Ronde, with his knowledge of English and his contacts in New England, proved especially useful to Vaudreuil as a plenipotentiary. In 1723, for example, the governor sent him overland to Boston on a diplomatic mission, the precise purpose of which is unclear. 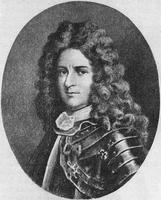 He also impressed Vaudreuil’s successor, Charles de Beauharnois, who appointed him, on 6 June 1727, commandant of Chagouamigon (near Ashland, Wis.), a key post on the route to the far west. Even though his appointment included the right to trade for furs, for unknown reasons La Ronde did not immediately depart from Quebec. In 1728 he became embroiled in the power struggle between Beauharnois and the intendant, Claude-Thomas Dupuy*. Dupuy charged that La Ronde was involved in illegal fur trade, presumably with his merchant acquaintances in Boston, and Beauharnois, forced to admit that the charge was true, refused him permission to go to Chagouamigon. The rare concurrence of the governor and intendant was apparently taken as proof of La Ronde’s guilt. After raising the possibility of dismissing him, in 1729 the minister of Marine, Maurepas, ordered Beauharnois to keep La Ronde at Quebec: “I cannot have any confidence in him,” he wrote. For La Ronde the possibility of further promotion was finally eliminated, but he was able, thanks chiefly to his friendship with Dupuy’s successor, Gilles Hocquart*, to take up his command at Chagouamigon in 1731. There a new chapter in his spectacular career unfolded. Having learned from the area’s Indians and from Jacques Legardeur de Saint-Pierre, a veteran officer in the region, that several islands in Lake Superior held rich copper deposits, he began to gather samples and to lay plans for a major industry. In 1732 he wrote to Beauharnois and Hocquart with a proposal to construct two ships on lakes Superior and Huron to carry ore to Niagara (near Youngstown, N.Y.); there it would be loaded on barges for the voyage to Montreal. In return he asked for a free nine-year lease on the fur trade at Chagouamigon to help him finance the venture. After Maurepas approved the plan in 1733 La Ronde formed a partnership with Saint-Pierre and Louis-Mathieu Damours de Clignancour, agreeing to put up half the capital. Since he apparently did not have it, he borrowed 25,411 livres in merchandise from the Montreal merchant Louis Charly Saint-Ange. In 1734 he drew another merchant, Simon Guillory, into the partnership. Meanwhile, Beauharnois and Hocquart modified the terms of his monopoly, allowing him to forgo the construction of the Lake Huron vessel until 1735 and to use the king’s barque on Lake Ontario. The Lake Superior vessel was constructed by La Ronde and Guillory in 1734. The ore samples they sent to France were assayed at the royal mint in Paris as more than 90 per cent pure copper and led Maurepas to believe that “the venture could become quite important.” La Ronde, who, as Hocquart observed, possessed only “ordinary resourcefulness, which is not supported by any practical knowledge,” realized that expert artisans would be needed to select the best location for the mine and to set up the smelting furnace. In 1735 he petitioned Maurepas to send help from France at his expense. Maurepas chose instead to send two German miners, John Adam and Christopher Henry Forster, with instructions merely to assess the venture’s feasibility. The Forsters arrived in Canada in the late summer of 1737 but, as a result of various mishaps, did not reach Lake Superior until June 1738. After investigating the copper deposits and taking ore samples, they returned to Quebec in the early summer of 1739 where they also examined copper deposits at Baie Saint-Paul before sailing for France. Their report on La Ronde’s venture confirmed the existence of at least three rich copper deposits on Lake Superior but declared that the cost of exploiting them would be prohibitive. La Ronde anticipated the effect of this report in France. In 1739 he wrote to Maurepas painting a bright picture of the mining enterprise and requesting a number of artisans, but his dispatch was couched in defensive terms. It sought to justify all his actions since 1736 and contained a lengthy account of his services since 1687. But Maurepas replied in 1740 that the enterprise was dead and angrily ordered La Ronde to reimburse the king for the sums advanced to the Forsters, more than 6,000 livres. He apparently did so, and Beauharnois and Hocquart requested that he be permitted to exploit the fur trade at Chagouamigon for two or three years so that he could also pay his private creditors. The certainty of the Forsters’ report cast doubt upon La Ronde’s sincerity about the mining venture; that the costs of labour and transportation would be prohibitive was so clear to them that La Ronde, even with his limited expertise, might have been expected to be aware of the problem. Moreover, in the seven years that he led the authorities to believe in the enterprise he achieved little, aside from building a ship on Lake Superior which would transport furs and trade goods as readily as ore. That his private financial support came from fur merchants who were all linked with the far western trade is also suspicious. Official documents suggest that La Ronde took the venture seriously, that he suffered losses, and that he was finally defeated by Canada’s geography, but it is worth noting that they can be given a different interpretation. It is at least a possibility that La Ronde used the mining venture as a means of obtaining a free lease on the fur trade. After the failure of the mining enterprise, La Ronde sought promotion to commandant of the colonial regular troops in New France, as well as promotions for two of his sons, Philippe and Pierre-François-Paul, both of whom were officers. Philippe had served at Chagouamigon during his father’s absences and took over permanently when La Ronde died in 1741. In 1743 Mme de La Ronde went to France to ask for a further extension of her husband’s lease so that she and her sons could pay Charly the 30,000 livres she maintained were still owed him. This request may have sounded disingenuous since she and her children had earlier renounced their inheritance to avoid paying a 1,100 livres debt to the Canadian treasury agent, Thomas-Jacques Taschereau. Even so she was granted the fur ferme at Chagouamigon from 1744 to 1748 at 3,000 livres, and one-third of its product from 1748 to 1751. It is difficult to assess La Ronde’s career. He was without doubt a daring soldier of fortune whose exploits covered the French Atlantic empire and ranged from heroic military feats to diplomacy, exploration, and entrepreneurship. On the other hand he was guilty of insubordination, apparently guided by self-interest, and often suspected, at least, of treachery. The many mysteries that surround him, concerning not only his motives for the mining venture but his contacts in New England and his alleged collusion with them, only add to the fascination of his career. AJQ, Registre d’état civil, Notre-Dame de Québec, 4 août 1675. AN, Col., B, 21, 29, 30, 32, 35, 37, 41, 42, 56–75; C11A, 53–87; C11B, 1–5, 12; C11C, 4, 6, 7, 11, 15; C11D, 4–7; C11G, 2–3; D2C, 222/2; E, 119, 189. BN, mss, Clairambault, 875, ff.245–47. “Mass. Archives,” II, V, XXXVIIIA. PRO, CO 218/1. Édits ord., II, 373–74. Fauteux, Les chevaliers de Saint-Louis. “Genealogy of the de la Ronde family,” J. E. Ducros, comp. (typescript, Mandeville, La., 1938), 14–15. Le Jeune, Dictionnaire, I, 79–81. A. Roy, Inv. greffes not., IV, 31–32; XVIII, 170; XIX, 208, 282. P.-G. Roy, Inv. concessions, IV, 263–64; Inv. jug. et délib., 1717–1760, II, 60, 128, 215, 225; III, 138–39. Dubé, Claude-Thomas Dupuy, 269. J.-N. Fauteux, Essai sur l’industrie, II, 10–20. Frégault, La civilisation de la Nouvelle-France. Harvey, French régime in P.E.I., 43–50. Kellogg, French régime, 351. La Morandière, Hist. de la pêche française, II, 646, 695ff. 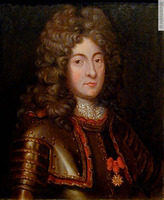 Robert Le Blant, Un colonial sous Louis XIV: Philippe de Pastour de Costebelle, gouverneur de Terre-Neuve puis de l’île Royale, 1661–1717 (Paris, Dax, 1935), 125, 149. 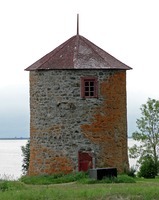 McLennan, Louisbourg, 11–17, 32, 37. Nish, Les bourgeoisgentilshommes, 90, 111. H.-R. Casgrain, “Éclaircissements sur la question acadienne,” RSCT, 1st ser., VI (1888), sect.i, 23–75. Henri Têtu, “Le chapitre de la cathédrale de Québec et ses délégués en France,” BRH, XVI (1910), 321. Bernard Pothier and Donald J. Norton, “DENYS DE LA RONDE, LOUIS,” in Dictionary of Canadian Biography, vol. 3, University of Toronto/Université Laval, 2003–, accessed April 26, 2019, http://www.biographi.ca/en/bio/denys_de_la_ronde_louis_3E.html.